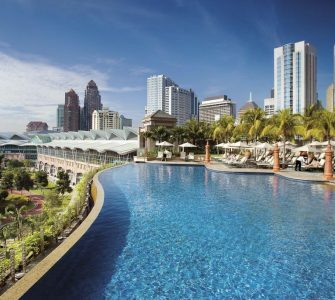 We are suckers for trips to exotic places, hot climates and cosmopolitan cities. So when we decided to visit south Iceland, we had no idea what to expect. We couldn’t even pronounce half of the places we wanted to visit. 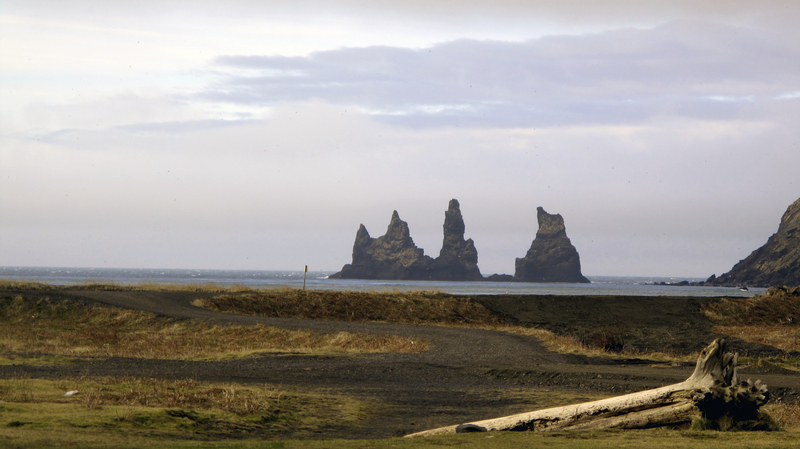 We spent 5 days exploring Southern Iceland, which is home to many of the country’s top sights. Since we traveled in April (off-season), we could afford to splash out on our hotels and trips, resulting in some of the most amazing days of our lives. It is by far the most unique and stunningly beautiful country we have ever visited. We find in very difficult to describe Iceland’s beauty to friends and family because it was like no other country we had visited before. 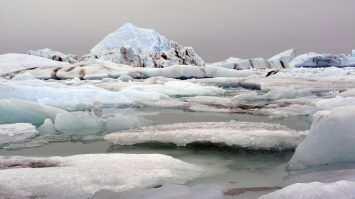 We have designed this article to help you maximize your own luxury trip to Iceland. 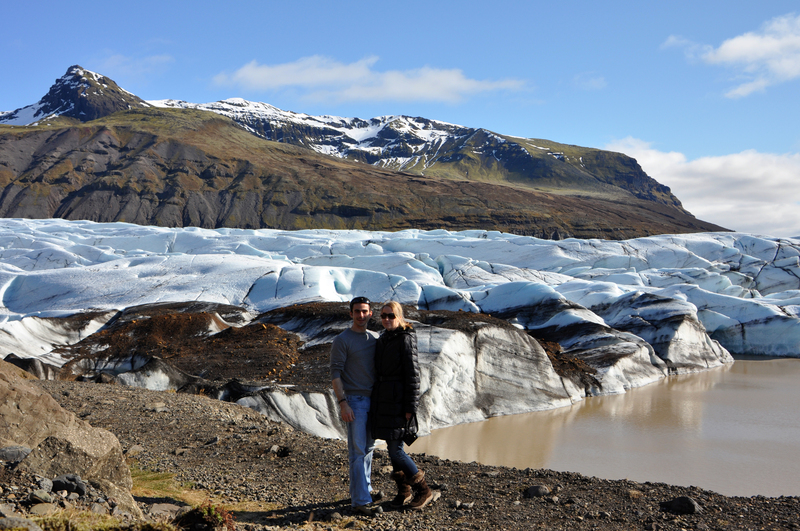 It covers details of our 5 day itinerary, as well as our accommodation, the Iceland sights we visited and tips we have to insure you have the perfect Iceland trip too! To get around Southern Iceland, you need a car. If you plan to stay only in Reykjavik for the entire five days, it may be easier for you to book daily excursions from the city. Leo decided the only way to travel around Southern Iceland in the short time we had was by renting the biggest hummer you can imagine. 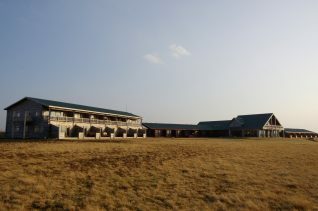 It gave us complete flexibility in our schedule to see as much or as little as we pleased. We loved the comfort and the driving experience immensely, however our pockets hated its fuel consumption! In hindsight, any car rental would be perfectly fine for the trip. TIP: We strongly recommend hiring at least a 4×4 or SUV since some of the rough roads require good tires. Depending on the vehicle you may also want to carry a can of fuel, make sure it has a spare tire and an emergency kit just incase. The last thing you will want is to be stuck without gas or a flat tire. Otherwise you may end up waiting some time for help to arrive. The ring road that loops around the entire country of Iceland is an attraction itself and has been perfectly designed for road trips such as ours. We enjoyed many hours driving along it and were astounded by its beauty. By far one of the most amazing places in Iceland we have ever visited, Jökulsárlón is one of the ultimate photo opportunities in Southern Iceland and one of the most incredible landscapes we have seen on our travels. One of the many benefits of visiting Iceland in off-peak season is the lack of people. We were able to enjoy this beauty almost completely by ourselves. The silence was eerie but it is one of our most memorable travel experiences and well worth a visit. Located around 180 kilometres from Reykjavik is Iceland’s most southernmost town of Vik. We drove through it from Hella where we were staying and while there are plenty of sights to explore in Vik, we decided to skip it for our next visit. But I did capture one of my favorite photographs from the whole trip when we stopped for fuel. TIP: Don’t miss the nearby Dyrholaey Nature Preserve, home to hundreds of nesting puffins! Fantastic to see and to photograph. Þingvellir National Park (Thingvellir) – Þingvellir is a protected national park located 40km northeast of Reykjavik. It is one of the most visited sights in the country. It is the sight of the first ancient Icelandic Parliament as well as the meeting point of both the European and North American tectonic plates. It is a place of absolute beauty and well worth exploring by foot, or horseback. Geysers at Haukadalur – There are two famous geysers here, one called Geysir and the other Strokkur. We loved visiting here although the smell of Sulphur (rotten eggs) did make me rather sick. The main geysir no longer erupts, however the Strokkur geysir erupts every 10 minutes, shooting hot steam and water 100 feet into the air! Gullfoss Waterfall– A definite highlight of the Golden Circle is the Gullfoss Waterfall, the most famous waterfall in Iceland. After descending down a long path you reach two waterfalls. The upper waterfall has a drop of 11 metres and the lower one 21 metres. You can get scarily close to the water’s edge here! Kerio Crater Lake – The Kerio Crater was one of the first stops we made on the Golden Circle and it can easily be spotted from the Ring Road. 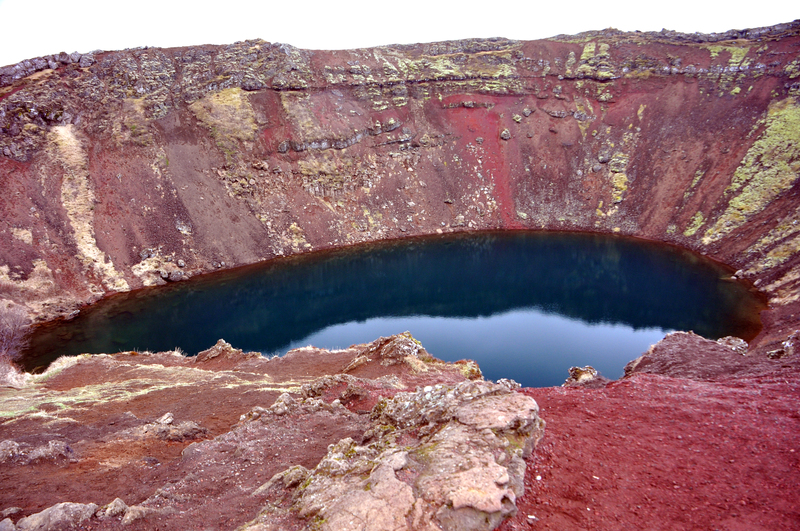 Estimated at over 3000 years old, this 55 metre deep crater is a shortstop but well worth a photo and a walk around its rim. TIP:Visiting the Golden Circle with your own car is far better than an organized tour. It allows you to stop to take photographs whenever you want as well as head off and explore side roads. You are traveling to Iceland. Great! 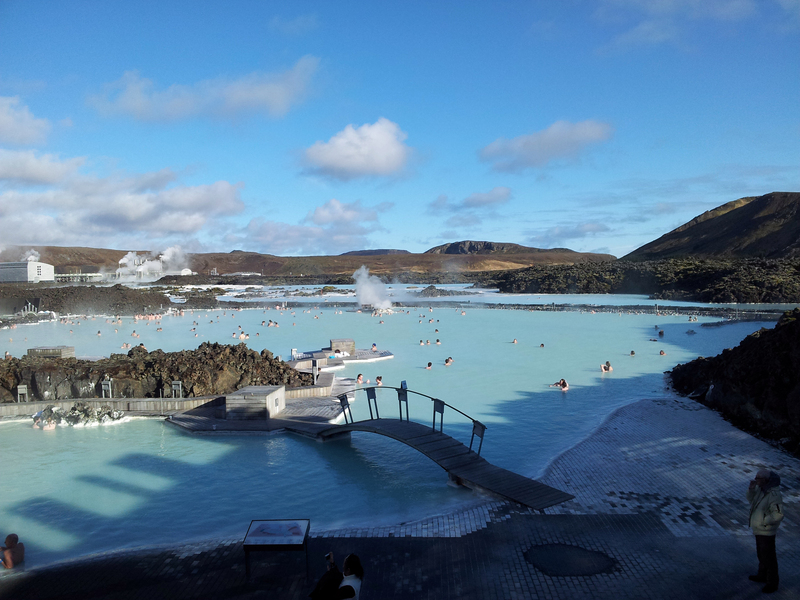 Do you know, no visit to Iceland is complete without a trip to The Blue Lagoon, the country’s most famous geothermal outdoor spa. While it is certainly a pricey trip, we think its still worth it although there are certainly other unknown geothermal spas worth visiting as well. We spent half a day here and felt it was more than enough time. TIP: If you bring any belongings with you, make sure you watch them like a hawk if you leave them unattended (including your towel). We had both of our towels (which you pay for) taken so it was a rather chilly exit from the pool for us! 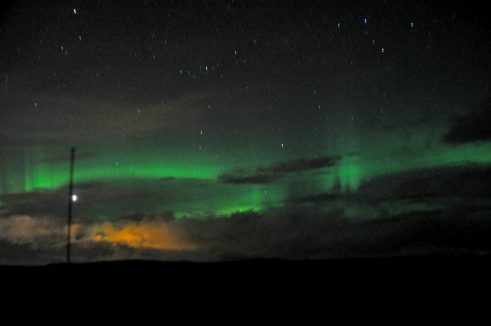 We had zero expectations of seeing the Northern Lights in April, despite it still being an ok time to see them. Unfortunately, we had low clouds for the entire length of our stay in Southern Iceland which meant we had no hope of taking any Northern Light excursions. However we were ambitious to see them and we were told on our last night that there was a good chance of sightings if we headed outside of Reykjavik. 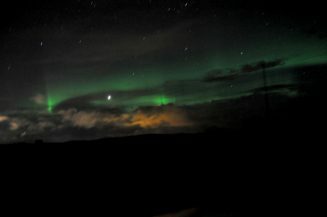 So we spent most of our last night in Iceland chasing clear skies in search of the Northern Lights! TIP: The Northern Lights are one of the biggest draws for tourism to Iceland, with the best period being from mid -September to early April. 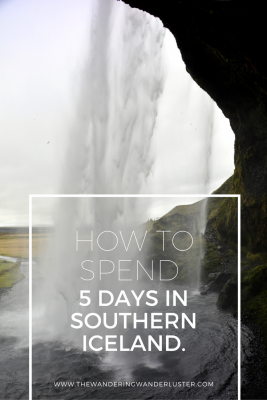 Are you planning a trip to Southern Iceland or have you already been? Drop me a message in the comments below! Are you on Pinterest? Pin this for later! 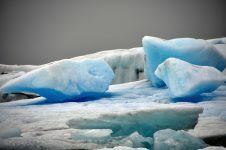 Iceland is on my bucket list, so thank you for writing such a detailed post about what to see and do in the southern part of the country! It’s absolutely amazing that you got to experience the Northern Lights in April! Wow! Yes we were super lucky! Mind you, we had to hunt them down. Spent the best part of an entire evening sitting in the cold driving from place to place! Worth it though! What a place!!! Must be freaking gold but its one of my dreams to visit Iceland. While watching your 2nd video I jumped up with the water explotion!! Haha, I nearly fell backward when the water shot up in the air into another steaming geyser! I was in Iceland last April, too! But we saw much more snow around Gullfoss, and spotted no puffins at Dyrholaey so I guess it was not the same week. Sadly we had to keep it on a tight budget, and we still ended up spending a bit too much. Lucky you for having much better facilities than we did! Must be quite amazing to experience Iceland in luxury. Still, as frugal as we had to keep it, the landscapes were out of this world! Your photos are absolutely stunning!! I am thinking about visiting Iceland this year and this post definitely isn’t helping my wanderlust! 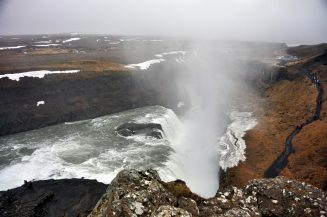 I’ve never seen photos of Gullfoss Waterfall that are as good as yours! Thank you Danielle! You should go although think about what season – we were lucky to see the Northern Lights in April but it was pretty cold then. Also, the weather was very unpredictable as you can see from our photos! We had some sun then cloudy, cold and miserable! Gullfoss was invisible when we arrived but after walking around for half an hour it cleared up! Lucky for us! Wow it looks amazing! Last year my boyfriend visited both Iceland but we really want to go to the south this year! Go! Before it gets even more developed. 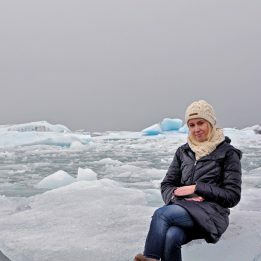 I truly loved Iceland! Great photos! Cool post! Was in Iceland many many years ago, and am heading back soon, so I’m interested to see what’s changed! 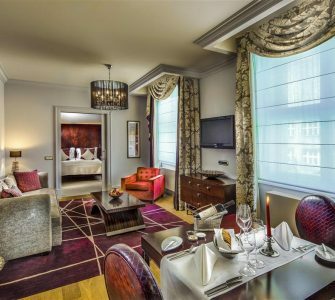 From your post it looks like there are a lot more luxury hotels that have popped up since my last visit! I think it’s changed a lot even since we were there. We can’t wait to go back but our next trip will be northern Iceland. We just fear Southern Iceland and the Golden Circle is getting too popular for its own good. Hotel Ranga was one of the first luxury hotels in Iceland and was a bucket list kind of place for me. Southern Iceland is so gorgeous! I’d love to go back and spend more time to see more. I’ve been twice now and missed the northern lights both times! It’s pure luck I swear! We’ll go back but we know it’s going to be a totally different experience to last time when there was literally NO ONE there! Well actually we aren’t shocked considering the huge amount of money Blue Lagoon charge to rent their towels, it’s no wonder ours (that we hired) were taken. It could have been an accident since they are all the same, but we were annoyed having paid for them and then not getting to use them!